The L.A. Times interviewed Mike Morhaime, Blizzard Entertainment co-founder and president to talk about the success of his game studios. I am a fan of everything Blizzard, and that doesn’t extend to only their products. I love to get to know and learn the story, background and passion of the people behind these products. I had the fortune to meet Mike Morhaime, Frank Pearce and Bob Colayco (Public Relations) at Best Buy (Times Square) at the New York City midnight launch of World of Warcraft: Wrath of the Lich King. No one knows, but I mistakenly clicked the voice recorder button wrong, and missed most of the interview that never got published, obviously. Yet, it was an honor just to sit there with Mike Morhaime and listen to him answer my questions. Shook his hand again in Paris, France — and even if he didn’t recognize one peon out of 11.5 million — I was glad to see him again, and to be able to say Thanks for making these video games, and for inviting me to Paris for the official announcement of Diablo III during the Blizzard Worldwide Invitationals. I had an aweful toothache around that time, but for me it was a blast of an experience to be there. Later met him briefly at Blizzcon. Whether you are an employee at a McDonalds, Chicken in the Box, Best Buy, a gas station clerk, maintenance, unemployed or else, you can find inspiration in people who love to do what you do: To play and develop excellent video games. You might be the next building a successful company or joining the Blizzard Entertainment crew. You never know, till you try and give your best effort. Feel free to learn a bit more about Mike Morhaime’s beginnings as a child, a student, and as the co-founder of a three desk office known as Silicon & Synapses, later renamed into Blizzard Entertainment. PCGames.De reports that Diablo 3 Game Director Jay Wilson will hold a 30-minutes press conference and Q&A at the end of GamesCom 2010 — in Cologne, Germany — to reveal invited journalists a new secret feature of Diablo III. The Diablo III demo will be available at the game floor throughout the GamesCom event. Bashiok seems to confirm this report by the german site. Activision Blizzard will announce the Second Quarter 2010 results on Thursday, August 5, 2010. As past experiences have demonstrated, this is the platform where Blizzard’s president Mike Morhaime makes important announcements about upcoming and current Blizzard games and services. It was at the 2009 Fourth Quarter Report where Mike Morhaime announced the estimated date for StarCraft II Beta, and plans for BlizzCon. This new report might likely reveal the release date for World of Warcraft: Cataclysm. While this is mere speculation, expectations are high when Morhaime stands before the microphone to report the latest Blizzard’s plans. SANTA MONICA, Calif., July 19, 2010 /PRNewswire via COMTEX News Network/ — Activision Blizzard, Inc. (Nasdaq: ATVI) intends to release its second quarter 2010 results after the close of the market on Thursday, August 5, 2010. In conjunction with this release, Activision Blizzard will host a conference call that will be broadcast over the Internet. GiantBomb interviewed Dustin Browder at the studios recently to discuss race balance, whether there are units that will be removed or not. The developers are seeing several game situations, things they didn’t foresee players coming up with like a Queen rush on Protoss players who aren’t effective that early at blocking chokepoints and protecting the base. The Queen’s speed will be nerfed to prevent Queen rush. 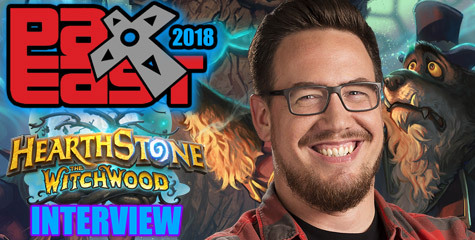 Dustin also talks about the single player’s Challenge mode. The Starcraft II Beta Developer Twitter Chat # 1 revealed several details about beta testing. Blizzard plans to release a major content patch mid-April to enable some basic achievements and improved voice chat, 3v3 and 4v4 maps, among other unidentified features. A Mac beta client will be available in April, when it’s ready. The Map Editor will be out before late-April. No new races are planned for the three episodes of Starcraft II. The roach, Infestor and reaper are currently in their Watch List. Critters were not priority for beta, and will eventually be added. Plans for Defense of the Ancients (DOTA) and community maps ladder and matchmaking. Dustin said more players will be invited to beta in upcoming weeks, and encourages gamers to enable the beta opt-in option in the Battle.net Account webpage to qualify. Replay hosting and sharing won’t be available at ship date. Streamed replays for Tournament Finals is planned in future Starcraft II expansions. Below you can read the 4-pages transcript. So many people are complaining about this on the forum… is it true that there will be no chat channels? I hope not! We do have plans for chat channels. Specifically, we want to organize chat channels around users’ interests so you know what types of conversations you are going to get into when you join a channel. This feature is not something that will be in for beta. Currently we plan to do this feature in a patch after the game launches. Are you guys still working on the Map Editor; and if so, what features are you planning to incorporate into the final piece? Yes. We’re still working on the Map Editor and currently working on the publishing system. We intend to release an early version of the editor during the beta so the map-making community can get a head start creating their own maps. This is going to be a stretch for us to pull off, but our hope is to get it out before the end of April. Do you really use beers to balance units? And do you really use that rubber gun to make a decision? Diablofans has an interview with Jay Wilson about Diablo III. The question about the Monk yielded some interesting tidbits such as the replacement of the Skill Tree by a brand-new skill based system the team is experimenting with. We will learn more about it through the Diablo Twitter in the near future. The female monk is nigh done, and will be announced soon. 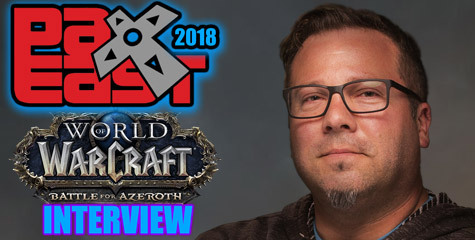 Jay teased there are things they haven’t announced yet which allow players to customize their characters’ stats through their items, thus forget about the original Diablo’s elixirs. A level 100 character on harder modes will have unique item / gear models not seen in easier modes — not just a rehash of the same item-model with a different name. Concerning immunities, my interpretation on Jay’s answer is that in Diablo II certain bosses had a full immunity to a magic resistance (i.e. immune to ice damage) — I remember back in the day when I played single player with a sorceress and focused my skill points on ice-based spells … let’s just say, it wasn’t fun fighting Duriel and running like a sissy. Apparently, in Diablo III bosses won’t have the same problem. You might have other spells or abilities that you usually don’t use much to adapt to every situation. Bosses will still have a certain degree of resistances, but nothing so extreme as in Diablo II where you could be stuck, or forced to play in a group. Unique items are known in Diablo III as Legendary Items. Vendor NPCs will still be there to offer weapons and armor to fill the gap on the random / luck drop factor. If you haven’t found a replacement for your boots, you can simply buy an item from a vendor while you find something better to replace it with. 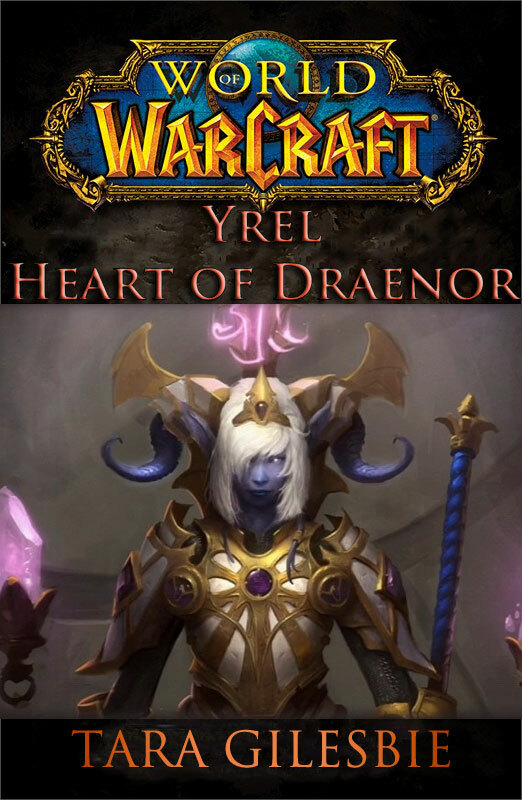 The biggest turn off of the interview was their decision to not include Ureh in the first installment of Diablo III to save time in their internal scheduled development. Thus, Ureh is likely getting some development-time in future Diablo III expansions. PvP was completely ignored with no comments. No more full resistance immunity bosses or rather unable to beat them. Keyword: Adapt. The Post-Gazette interviewed Paul Sams concerning the recent news that he is one of the co-owners of the Pittsburgh’s NFL team The Steelers. He confirmed his friendship with Thomas Tull (Legendary Pictures CEO), who is also a new co-owner and shareholder of The Steelers. At the end of the interview, the Post-Gazette pitched a question to find out the current status of the Warcraft Film. For now it is in pre-production stage, putting the script together, while Sam Raimi works on Spider-Man 4. Post-Gazette: When is the “World of Warcraft” movie coming out? Paul Sams: Sam Raimi has been attached as the director. We’re working really hard with Legendary [Pictures] and Sam—he has “Spider-Man 4” first, then he’ll move to this project. We’re in the process of developing the scripts. Paul Sams Delves into Football? Off-Topic: Paul Sams (Blizzard COO, chief operating officer) is now shareholder and co-owner among other families of the NFL Pittsburgh Steelers according to the official Steelers website. Interesting to note is the friendship between Paul Sams and Thomas Tull. Both are shareholders of this football team. Thomas Tull has been well-known by Blizzard fans since around 2006. He is Chairman and CEO of Legendary Pictures who resently announced Sam Raimi as the new director of the Warcraft film. Hold it there. The new Next-Gen MMO is an NFL All-Stars game!!! Just kidding folks. 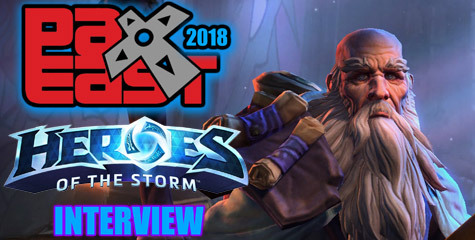 Many Gaming Sites visited Blizzard Entertainment this past week and now that the NDA has been lifted, you can see a plethora of interviews and coverage hit the netwaves around the world. We will be collecting as many links to these as possible. Check back often for updates. I recommend the Shacknews interview. Dustin spills the beans on four missions of StarCraft II: Wings of Liberty single-player. Each campaign mission will be a mini-game on its own. Shack: You haven’t shown much of the singleplayer component, and that may be one reason for a lot of the skpeticism. Do you think the Terran campaign will catch some people by surprise? Dustin Browder: I hope so. It’s going to be pretty huge. It’s really different than anything you’ve seen before in our titles. This is sort of a level of choice and options for the player—RTS is typically, you’re on the rail man. And if you get a mission you can’t beat, I guess you’d better take it back. Well, you can’t take it back anymore. [laughs] I’m [thinking] of when you could take games back at [Electronics Boutique]. But you were just stuck right, and that’s terrible. But now if you get stuck, you can go, “I’m going to come back to this one. I’m going to go myself something powerful and come back here and make this one suffer.” At the same time, I think players—we learned a lot obviously in StarCraft, and I think this team learned even more in WarCraft III, in terms of the kinds of mechanics that you’re going to get in this campaign. The kinds of things you’re going to be doing in missions, I think is pretty cool stuff that maybe players aren’t quite prepared for. We’ve got a mission right now where every five minutes, lava rises and kills everything on the ground. Everything dies. You’ve got to get to the high ground or die. We’ve got a mission right now where infested Terrans are attacking at night, but they’re hiding in the ground by day, so you need to just hold out all night long like you’re in I Am Legend. Like, “I’ve got to live!” and then day, “Get ‘em! Kill ‘em while they sleep!” And you run out and you burn everything as fast as you can, and then when darkness starts coming you have to get back and hide out. We’ve got missions where you’re trying to defend a Terran colony that’s getting infested one piece at a time, and you’ve got to try to put out all these fires while fighting off these infested units. We’ve got this mission where you are a lone ghost trying to influence the course of an entire battle. So each of these missions is like a little minigame. Mike Morhaime (CEO) and Paul Sams (COO) accepted the Guinness World Records Gamer’s Edition award for World of Warcraft as the most popular MMORPG with 11.6 million subscribers; and for StarCraft, the best selling strategy game for PC with over 9.5 million copies sold worldwide. The developers want your feedback about each class and questions for the developers. Read first the patch notes to identify the changes introduced in patch 3.1.2. Play around your class once the live servers come back online, specially tonight when you go to Ulduar. Any bugs or suggestions should be posted at the following forum threads. Try not to create new threads about this topic. The developers will be reading all your feedback in these class specific threads. We are looking for community class questions and topics for a class Question & Answer series. Over the next few weeks, we will be posting in each of the class forums and discussing the latest high priority questions and topics the community has. We will then be compiling these questions and topics into a larger Question & Answer post to address as many of questions as possible. While we will be creating one post in each of the class forums to solicit questions and topics of interest, we will also be keeping a close eye on additional posts and discussions. It is important to keep in mind that we have a schedule of classes we will be addressing and will be getting to each class individually over this period of time. Please note, this list is subject to change. It looks like Blizzard Entertainment got yet another game in early development. If you are a programmer with awesome skills and experience in the game industry, you have the opportunity to join the best international game studios and all what comes attached to that: good salary, benefits, reputation and access to the in-house gym and cafeteria to boot. The fifth brand-new unannounced game surfaced last week. I don’t recall any executives commenting about the existence of a fifth game before, but certainly two executives have hinted interest in a new IP. Rob Pardo presented a keynote today at the Paris Game Developers Conference. The full Pardo conversation at GDC Paris is now available on Gamasutra, including the Blizzard exec thoughts on a whole host of major issues, from user-generated content through the Activision/Vivendi merger and beyond.